Viettel Group (Viettel), a Vietnamese state-run mobile network operator, has recently announced that 90% of Tanzania’s population will be covered with 3G services by end of 2016. The total coverage is up from the 81% announced by the company in November, 2015, after it deployed its optical cable network for a total length of 18,000 km and more than 3,000 base transceivers stations (BST) throughout the country. With the network already established, Viettel which operates in Tanzania under the brand Halotel plans to provide 1,500 more villages with 3G services to double its reach to a total of 3,000 across the country’s all 26 regions. The company invested nearly USD 1 billion – TZS 2 trillion – during most of 2015 to deploy its network and ensure that the sign is strong and smooth at any time and place to serve Tanzania with reliable telecommunications services and support rural areas to connect with the rest of the country, explained Viettel’s Deputy Managing Director, Mr. Le Van Dai. The company is committed with the development of Tanzania’s telecommunications sector and will keep investing in additional transmission lines to raise quality and availability of the service, Mr. Le Van Dai added. Tanzania, the fourth country in Africa where the Viettel has presence after Mozambique, Burundi and Cameroon, count with the largest population and one of the most rapid growth in mobile subscribers, the company indicates. According to Tanzania Communications Regulatory Authority (TCRA) latest statistics, the number of mobile subscribers has grown from below 1,000,000 in 2002 to nearly 36,000,000 in September, 2015 with a market penetration of 77%. 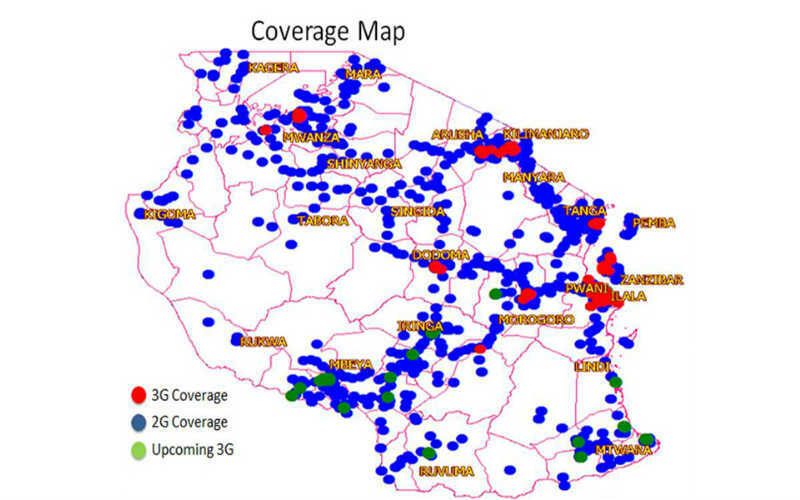 From the total mobile subscribers, approximately 85% were using 2G connections while only 2.53 million people were using either 3G or 4G in 2014 representing 4.9% of Tanzania’s total population against an average of 19.2% in the Sub Saharan region and 40.7% in the world according to World Bank. Viettel became the 7th mobile operator in Tanzania after Vodacom, AirTel, Tigo, Benson (Smart Telecom), ZanTel, and TTCL with the first four offering 4G services.